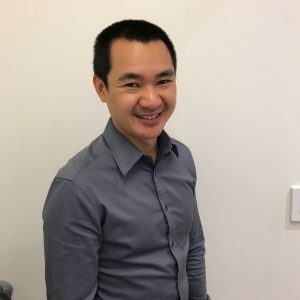 David Do has been a Podiatrist for 16 years. He has always been interested in providing world-class foot care. David was born in Brisbane and studied at QUT with a Bachelor of Health Science (Hons), graduating in 2001. He has practised in both Singapore and Australia in various clinical settings including hospitals, community health and private practice. Today, David is the Senior Podiatrist at My FootDr Mitchelton. When it comes to podiatry he enjoy all aspects of care ranging from general treatment to musculoskeletal conditions. On a personal note, David enjoys fishing, kayaking, playing the guitar and spending time with his wife and two sons. He looks forward to providing you with the best service possible.